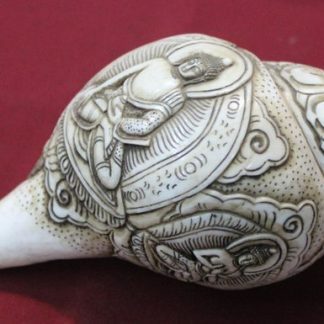 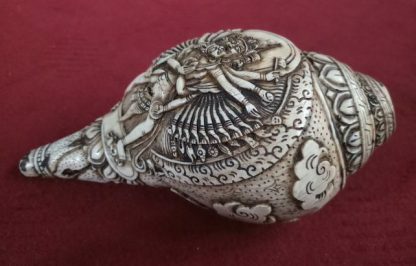 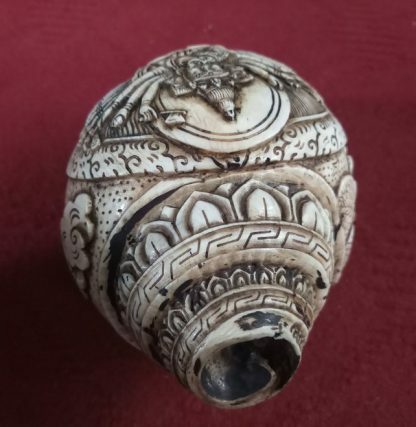 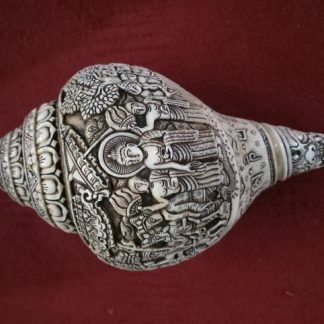 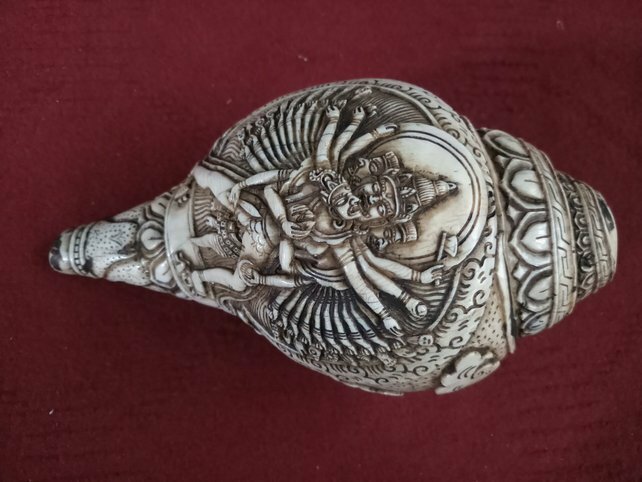 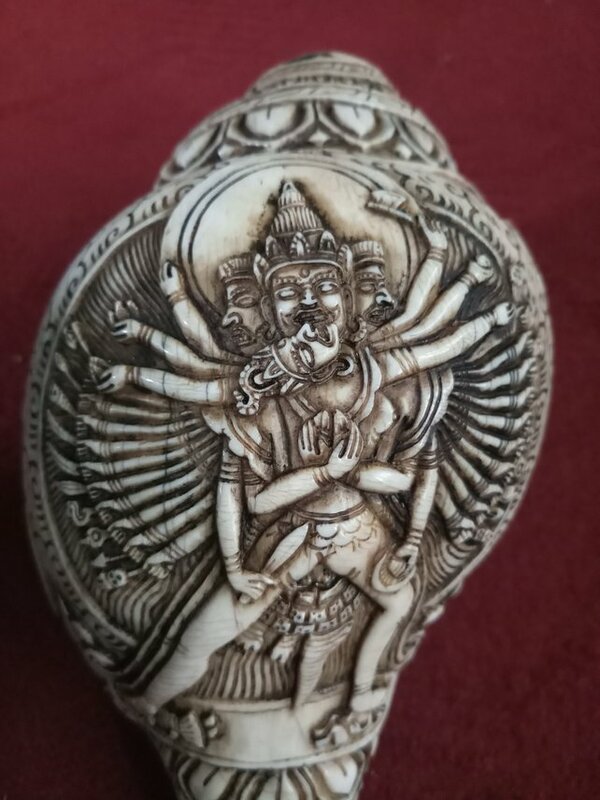 Conch Shell Chakrasamvara is handmade in Nepal by Newar artist. 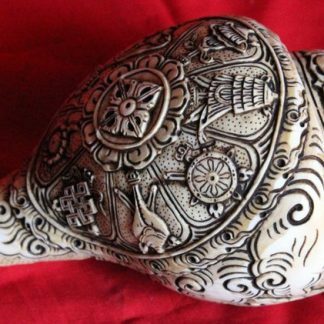 This is a real and natural conch shell. According to Wikipedia Conch Shell Chakrasamvara can be explained as follows. 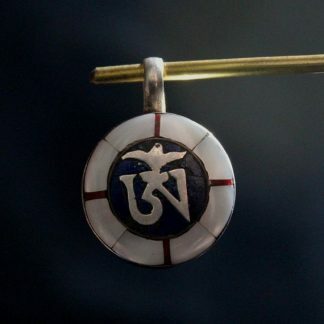 The Cakrasaṃvara Tantra (Sanskrit: चक्रसंवर तन्त्र) or Khorlo Déchok (Tibetan: འཁོར་ལོ་བདེ་མཆོག, Wylie: ‘khor lo bde mchog) is considered to be of the mother class of the Anuttarayoga Tantra in Vajrayana Buddhism. 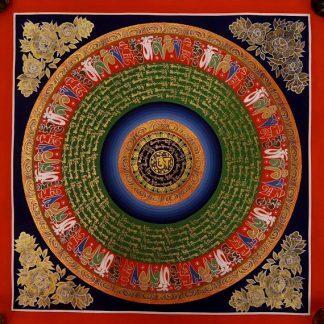 It is also called the Discourse of Sri Heruka (sriherukabhidhana) and the Samvara Light (Laghusamvara). 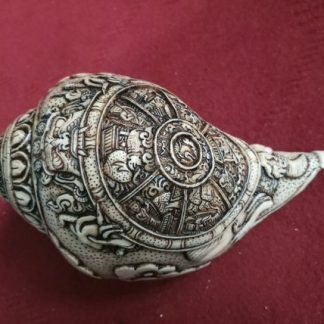 David B. 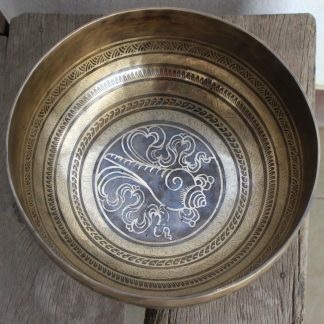 Gray dates this tantra to the late eight or early ninth century. The Cakrasamvara Tantra is mostly dedicated to describing rituals and meditations which produce either mundane siddhis (accomplishment) such as flight and the supramundane siddhi of awakening. 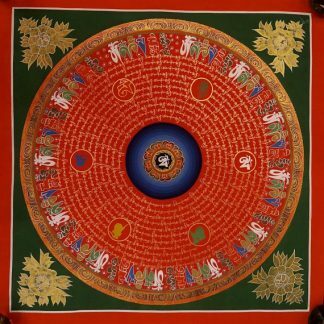 These are achieved through deity yoga (visualizing oneself as the deity) and the use of mantras.